If you are a whiz in the kitchen and also enjoy organic gardening, growing herbs is a natural choice. Besides being able to enjoy much fresher herbs than what you might buy at the super market, herbs are a fantastic choice for someone who is new to organic gardening because they are typically much easier to grow than other plants. You don’t have to be a master horticulturalist to grow fantastic herbs, you just have to give them good regular care. Another major advantage of growing herbs is that they come in several different varieties, so you have a simple organic garden that still has a lot of variety. There are strong herbs, which are designed to be the primary taste presence in a meal, which include rosemary, sage, and savory. There are also “accent herbs”, which are simply designed to improve or alter the taste of a dish. These include dill, mint, and thyme. Herbs don’t take up that much space to grow, so you can enjoy this variety even if you don’t have a lot of room to grow. One of the most popular choices for an herb garden is Basil. If you grow this herb while organic gardening, you will probably find it a lot easier to propagate with seeds, as basil cuttings have a fairly low survival rate. To make it easier for the seeds to germinate, you might try making their shell a little thinner using a file. If you are growing them outdoors you should plant in rows that are two feet apart. 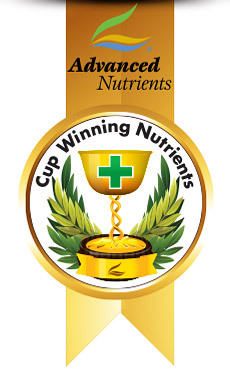 If you are growing them hydroponically, you should make certain that your nutrient solution has plenty of phosphorus, as this will positively affect the flavor. But even after you have finished organic gardening your herbs, they still aren’t quite ready to be used for culinary purposes. First, you should cut the herbs. With annuals, you should remove the entire stalk, cutting from the ground. With perennials, on the other hand, you should simply cut about a third of the stem. Now wash them thoroughly, to get any dust or dirt that may have been left over, and dry them by either laying them out on the sun on the laying them on a towel. Once they are dry, you should air-dry them by hanging them upside down in a paper bag and letting the sit in a room temperature room for about two weeks. This is the best method, because it preserves most of the oils that give herbs their flavor. If you are in more of a hurry, you can get a similar effect simply by placing the herbs on a baking sheet and heating them at very low heat for about two hours. 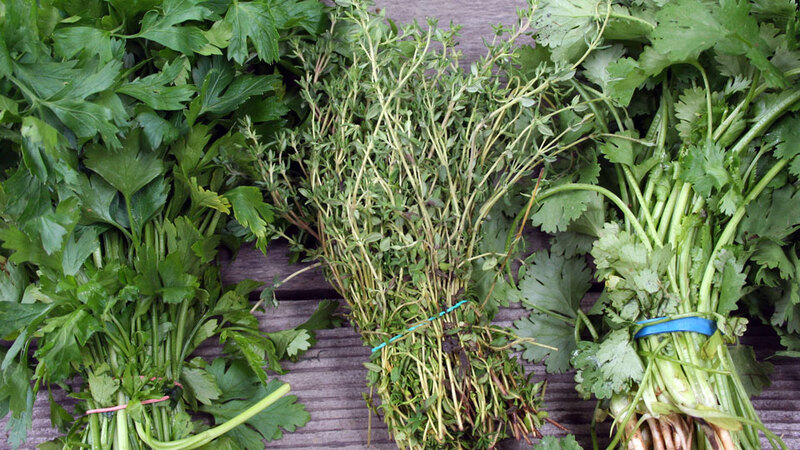 Once your herbs are dried, you can start using them in your dishes right away. They can give a fantastic flavor lift to just about any dish you regularly eat at home, form using thyme in your soup or using basil to improve the taste of your morning eggs. Some chefs prefer to use fresh herbs such as basil or cilantro or parsley to flavor their dishes, in which case they don’t need to dry them.